If you operate an art gallery or otherwise deal in art, and are in need of a merchant account, we have a couple of recommendations for you. 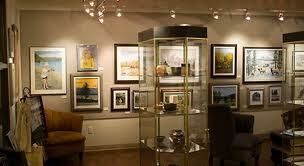 Both are reputable, established providers of credit card processing services for art dealers and gallery owners. They can offer you processing for in-person transactions with a swipe machine; ecommerce online processing for sales made via your website; and wireless solutions for sales made when you are on the road at client’s premises or at meetings or art industry gatherings. The ecommerce solution also encompasses a virtual terminal so that you can also accept credit card orders by phone or mail. Each has online applications and quick approvals (usually within one or two business days), along with good reputations within the processing community. We have been referring our site’s visitors to them for many years and have never received even one complaint from a merchant. We know the owners of both companies personally and can vouch that they are trustworthy and reputable. The rates and fess charged are very competitive. And if your art gallery already has a merchant account with another processor, each would be happy to see if they can reduce your monthly fees. In many cases they can, sometimes by as much as 25%. 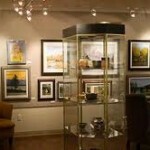 The two merchant account providers we recommend for art dealers and galleries are Charge Inc. and The Transaction Group. Check them out by clicking on the links. We are pretty sure you’ll be happy you did.